The ever wonderful and talented Angie Rehe is running a few new courses. Get in fast as they book out quick! Held right here in our studio. Spend a day learning how to capture someone’s style and look quickly, as a fashion illustration. Quick fashion portraits are hugely popular – stylish sketches capturing a person’s look make great mementos and an excellent way of documenting fashion. How do you do it? What captures the person? How to do it quickly? 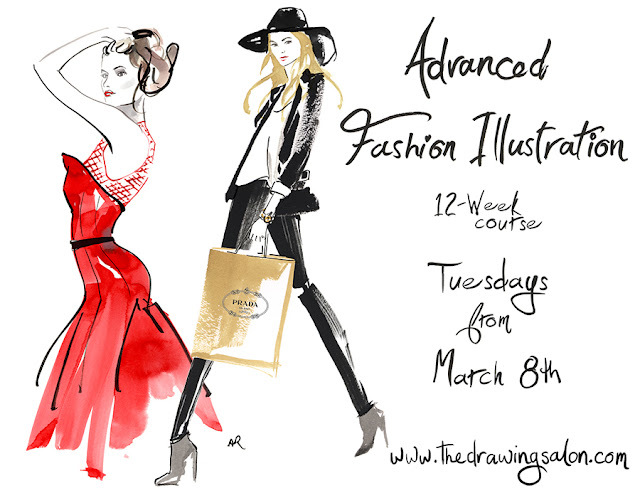 Learn the fundamentals of fashion illustration and how to create these sketches, includes live-model sketching. Snacks and materials provided. Cost: $165 includes materials (including paper). 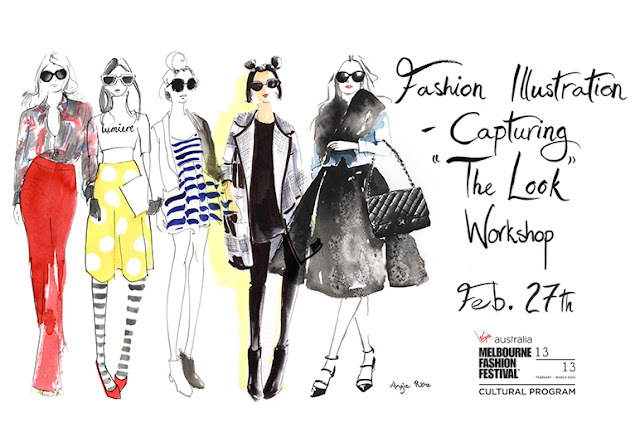 Venue: Frankie and Swiss: Studio 8, 199 Toorak Road (Corner Claremont Street) South Yarra. Fashion Illustration Fundamentals suits a broad range of people from beginners to those with some drawing experience. 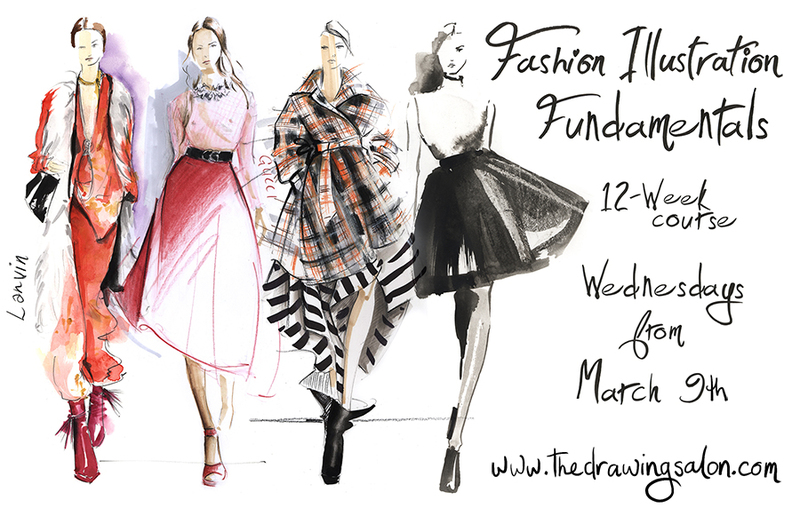 It’s a comprehensive 12-week course which will take someone from the very foundations of fashion illustration through to an understanding of the various media most useful in this discipline, as well as exploring more advanced media and concepts such as compositional planning, training your selective eye, alternative views, and menswear. This course is excellent for reviving previous drawing skills and taking them further, or for applying skills from a related discipline such as fine art or graphic design, to the art of Fashion Illustration. Everyone can learn to draw; they just need the right approach and techniques. Tips and short cuts included. Advanced Fashion Illustration This course was created due to the popular demand of students who could see the exciting direction of their work and wanted to take it further. Sessions are experimental, challenging, and varied – they are continually evolving and responding to student requirements, exploring media, techniques, and styles. Incredible results are achieved and many past and current students are working commercially or in their own practice.